In the works for quite some time and appearing in the shop within the next day or two is a new series of solid natural perfumes based on the theme of Chocolate. Chocolate, from the seed of the Cacao tree of South America, was first utilized in a beverage known as xocolātl by the Mayan and Aztec natives as early as 1400 BC. It wasn't until the Dutch van Houten family and the manufacturing advances of the Industrial Revolution that processing the beans into bars came into being. I've been a chocoholic most of my life, perhaps because both chocolate and I are natives of South America. It was just after my Aromatherapy immersion in the 1990's that I created my first chocolate themed body product, a chocolate mint lip balm with cocoa butter as one of the bases. Later when I was introduced to natural perfume I began sketches for a chocolate perfume. At the time they were liquid perfumes, based in alcohol. The inspiration for this line of natural solid perfumes came in January last year while I was putting together Valentine gifts for a few dear hearts. 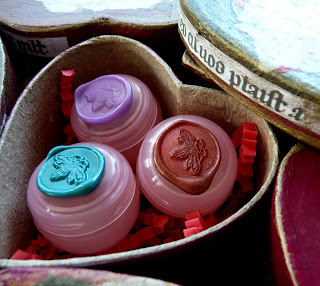 As I put the little pink pots into the heart shaped boxes I had painted and collaged I saw the association with chocolate truffles and the idea was born. 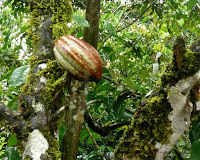 While in Ecuador this past summer we had the opportunity to see the cacao tree and seeds in the Amazon. Pictured at left. We also tasted and sampled quite a variety of chocolate. In Ecuador cacao pulp along with vanilla is used as an ingredient in their very popular frozen smoothies. For this series of creamy unguents I will be releasing a few at a time so that by February, for Valentines Day, there will be a complete set. There is so much potential for pairings with chocolate. The classics of course, like mint, fruit, orange, spice, cream, but also new and more eclectic terroir that the botanical perfumers palette lends itself too. 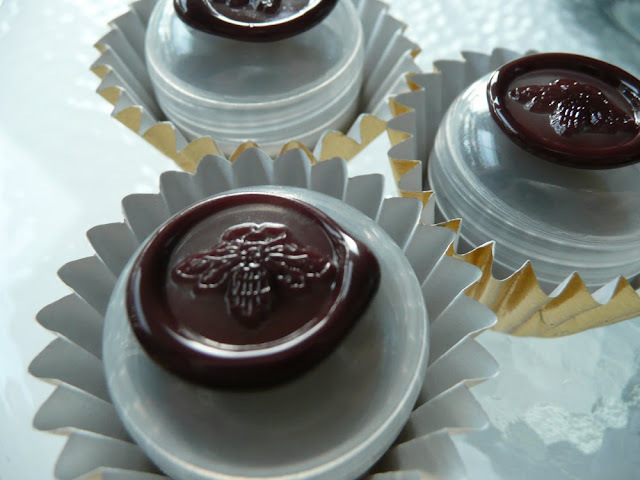 These artisan delicious chocolates feature a base that includes cocoa butter, one of the products of the cocoa bean. Studies indicate that chocolate, like many essential oils, elevate serotonin levels in the brain. Perhaps this new series will be the most mood altering of all my vital plant based perfumes yet. I look forward to hearing the response by all the loyal and devoted fans who regularly send in their testimonials of the uplifting affects of our perfumes. Can't wait! They sound intoxicating! What I love about chocolate is that it looks, smells and taste wonderful. Can't miss with that combo. 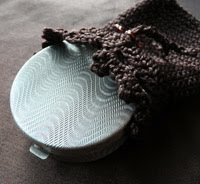 I should be receiving my very first order from your shop of the small solid sampler in the next day or so. Looking forward to all the beautiful scents. I'll be back for chocolate. I am seriously, dorkily excited about these perfumes! I'm looking forward to falling in love with them by Valentine's Day! I am super excited for your new perfumes to be released. I love chocolate, so I am excited to see how you have transformed into intoxicating perfumes. As usaul with all your perfumes I am sure they will be beautiful. roxanne-- i'm enchanted by the picture of the little girl ( is it you?) with her face beaming and so sweetly smeared with chocolate-- the associations of scent and taste with the past are always so amazingly memorable and can so easily allow one to travel back and forth from present moment to past with ease, and clarity.... i have no doubt that your chocolate scents will arouse many a nostril and make many a mouth water with anticipation!! Sweet Pea, that's the name I called my little girl when she was a tot. Your observations on chocolate are so true, all the senses are delighted by it's magnificence! I intend that my perfumes have and will continue to bring you great joy. Thank you Beth, I am excited to provide them for you! Princess Ellie, how grand to have a lady of the court here! May "le chocolat" enchant as my other perfumed works have delighted you my dear. Kathi, what a beautiful bit of lyric wordsmith you have left here. Thank you. 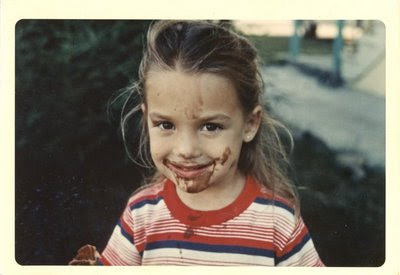 Indeed, that is me in the photo, eating chocolate ice cream in a cone, with most on my face. As you know, I simply can't wait to experience your chocolate series! And I love the photo of you as a girl, just having thoroughly enjoyed your chocolate cone. It's great that it managed to get on your forehead! Trish, I am anxiously awaiting the chocolates as well. Babies come when they want to don't they? !